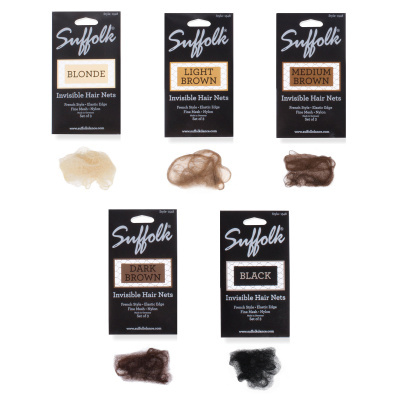 Dance with confidence knowing your hair is secure with these high quality hair nets from Suffolk. Invisible in appearance, these hair nets are made in Germany from a fine mesh Nylon material. An elastic edge always keeps them nice and neat. Available in five colors - Black, Blonde, Light Brown, Medium Brown, and Dark Brown. Quantity - three per package.